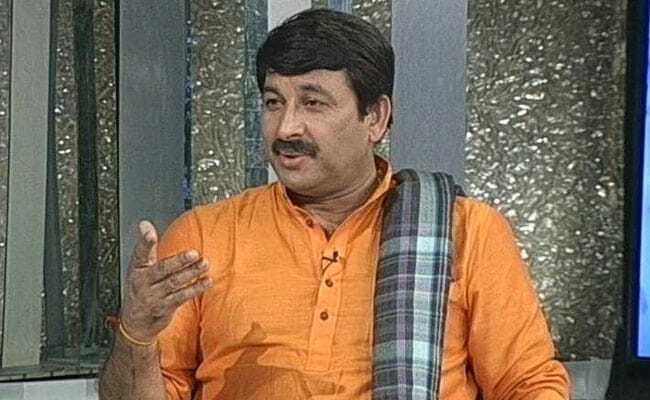 The BJP leader's remark came after chief minister Kejriwal on Wednesday said Manoj Tiwari should stop doing "drama" and if he has the "guts, he should de-seal shops" in the national capital. Delhi BJP chief Manoj Tiwari on Thursday lashed out at AAP leader Arvind Kejriwal over the sealing drives here and challenged the chief minister to issue an order authorising him to break locks of properties sealed by municipal corporations. The BJP leader's remark came after chief minister Kejriwal on Wednesday said Mr Tiwari should stop doing "drama" and if he has the "guts, he should de-seal shops" in the national capital. Mr Tiwari advised the chief minister to focus on development of the city instead of indulging in "petty politics" and spreading "lies" on sealing issue. Mr Kejriwal addressing a "Mahapanchyat" on the sealing issue on Wednesday, had attacked Tiwari over his act of breaking the lock of a property sealed by a municipal corporation in East Delhi. "Manoj Tiwari is doing just drama...If he has guts, he the should de-seal shops across Delhi. This is not the way. Even people know that he is doing drama...," Mr Kejriwal had said. The chief minister is "misleading" the people of Delhi by "fabricating lies" on the issue of sealing and has become a "habitual liar", Mr Tiwari alleged. "He should give me an official order in writing for breaking the seal of the properties in Delhi and I will get down to it from tomorrow," he said. Earlier this month, the Supreme Court dropped a contempt case against Mr Tiwari while chastising him for breaking seal of the property in east Delhi's Gokalpur. Mr Tiwari held the Kejriwal government responsible for paving the way for sealing drive in Delhi by filing an affidavit in the court. "Sealing was started in Delhi after Kejriwal government filed an affidavit in the court. After this affidavit the court ordered its monitoring committee to start a sealing drive," the BJP leader claimed. The BJP ruled municipal corporations in the city are undertaking sealing and demolition action against properties found in violation of the provisions of the Delhi Master Plant 2021 and Unified Building Bylaws-2016 on the instructions of Supreme court mandated monitoring committee.